If you run an e-commerce store there’s no doubt email should be your friend. Your email list is like gold. Nerdy, money making type gold. Your mailing list is an asset that you own. It’s yours to market to over and over again. It costs very little to maintain, and nothing to send emails to. When you consider how high the cost of acquiring a customer via other channels like paid search, paid social and SEO can be, it’s little wonder “building the list” is the mantra of many e-commerce stores. So we agree the list is important? Good. But equally as important is the types of emails you send to the list. If you normally just hit send on generic campaigns that are blasted out to your entire list it’s time to stop. Instead? It’s time to let automation work its magic. Rather than blasting everyone on your list with offers, you can use automation to send targeted and personalised email. You can send mail based on the actions people did or didn’t take on your store. This is extremely powerful, and can drive significantly stronger revenue per email sent. 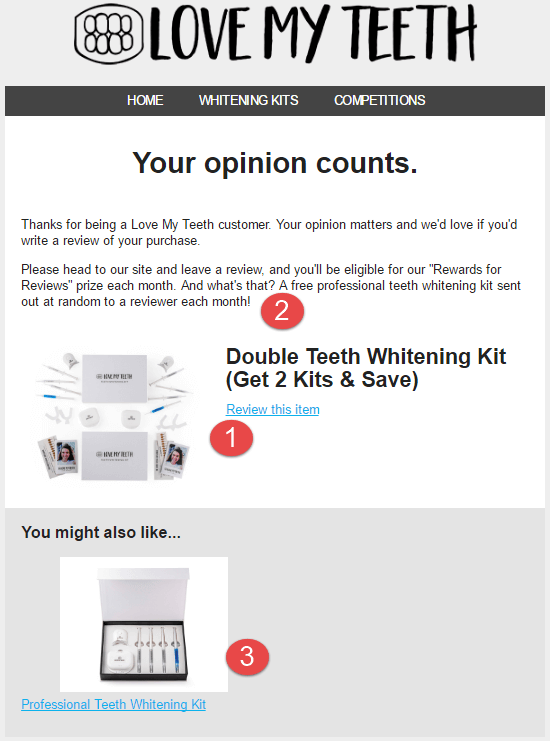 Read on for our take on the automated emails ALL e-commerce stores should be sending. Studies have shown that nearly 87% of consumers abandon carts, despite over 70% of them intending to check out at some point. The problem is, once they abandon many of them never return, despite best intentions. That’s a massive opportunity missed. These are people that browsed your site, liked what they saw and made it as far as the checkout. They pretty much had their wallet out! What are the smart stores doing to try and keep these customers? Capturing the customer’s email early in the checkout, so if they do abandon the store can send automated emails following up on the order. If the customer gets distracted by something and bounces it’s not a totally missed opportunity. Love My Teeth know who the potential customer was, and what their email address is. Currently, they send one email one hour after they bounce and another 24 hours after they bounce. Setting these types of emails up takes work. 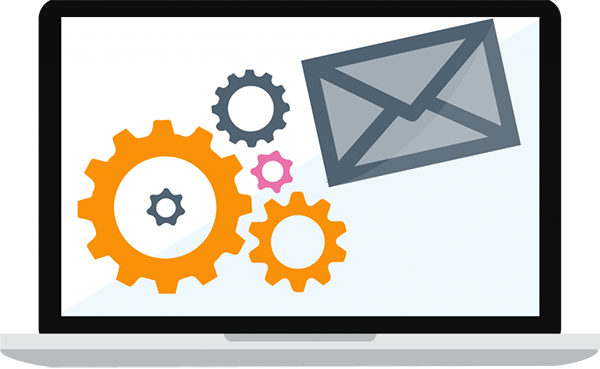 You need to integrate your mailing platform with your store to know who is using your site and what they are doing once there. The payoff is well worth it, however, as these emails have been proven to convert very well. In fact, 61% of consumers read online reviews before making a purchase decision. This means if you have reviews on your product pages you have a better chance of winning the sale. People don’t normally leave reviews out of the goodness of their heart. Sure, people love to complain about things online when they feel slighted, but it doesn’t tend to go both ways. However, if you can get through to your customers with some gentle prompts you greatly increase the odds they will leave a review on your site. That’s where our friend email automation comes into play. Shows them the specific product they purchased and provides an easy link to leave a review. Cross sells other relevant products that they might also be interested in buying. 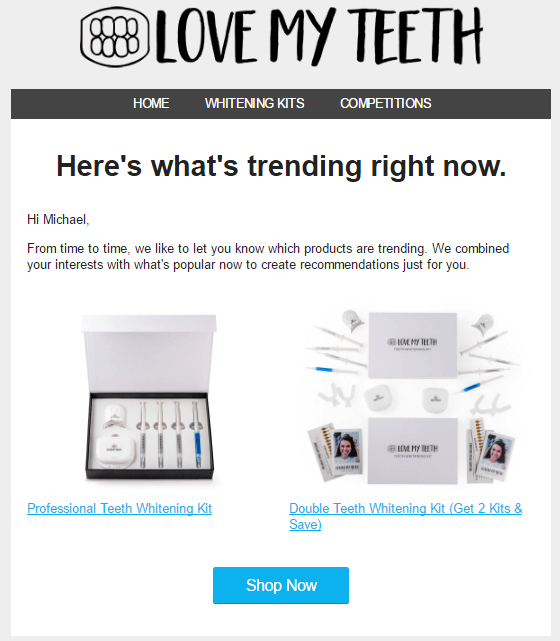 If you run an e-commerce store you need to be sending these types of emails. The reviews on your product pages are another asset you own. It’s content that the competition doesn’t have and it increases the conversion rate on your site. What’s not to love about that? Once a customer has made a purchase and is on your list the hard work has been done. The acquisition costs are done with. Gaining their trust has been taken care of. They are familiar with your brand and your products and liked it enough to purchase from you once. Theoretically, these are the people who should be easier to get to buy from you again. 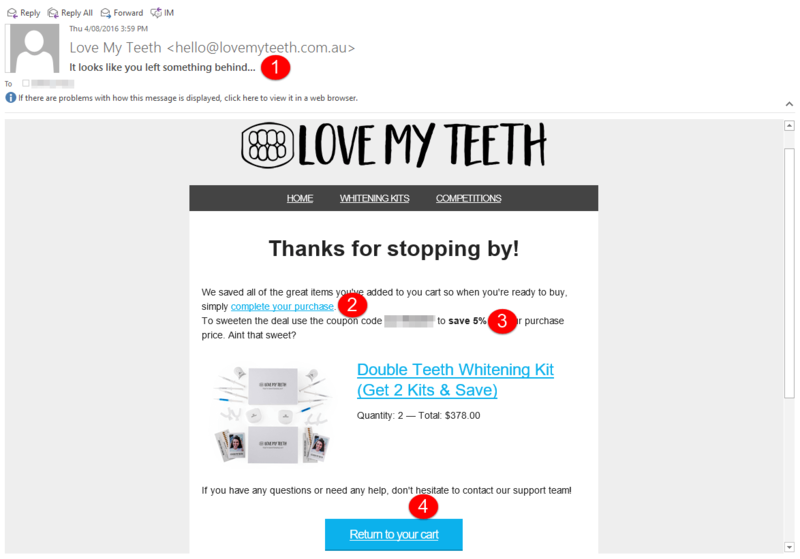 Customer win backs are emails you send to these customers when they haven’t made a purchase in a set amount of time. The example email above is sent if a previous customer has not made another purchase in 75 days. It includes a couple of related product images and a call to action to shop now. Considering these emails cost precisely $0 to send, and they’re going out to existing customers the return can be through the roof. The main emails you need to be sending if you’re in the e-commerce space. Setting this up can range from a relatively simple process through to rather development intensive, depending on what e-commerce and mailing platforms you use. The returns can be significant, however, making it a must implement on pretty much all sites.